Visiting Komodo islands is probably the most sensible idea of vacationing, especially if you are a diving enthusiast. Located in the Indonesian region, Komodo Islands offer divers, some of the most breath-taking and pristine, diving locations that are rated among the top diving destinations across the globe. 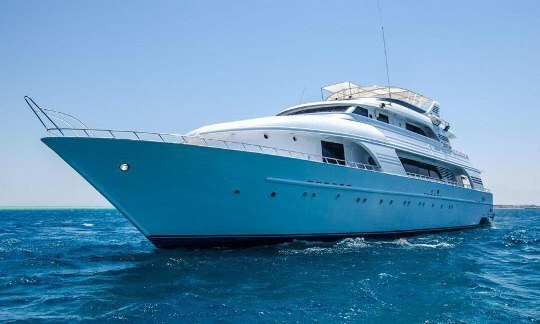 In the recent times, liveaboard diving has gained a significant popularity among the tourists. As opposed to the conventional shore based diving, liveaboard diving offer divers a much more enriched diving experience and allows them to heighten the indulgence in their diving spree. Read Also : Get lost in the magic of Goa! Rounded up below are some of the compelling reasons that are probably enough to drive you towards opting liveaboard diving as your preferable mode of diving excursion at Komodo Islands. Let’s have a look at them. Usually liveaboard diving trips stretch to the extent of days. This provides you with ample diving opportunities. You simply don’t have to worry about time running out, so is the case in land based diving excursions. You can put on the diving gear at any point of time, and jump in the ocean to experience some of the most exotic and unspoiled marine life of Komodo Islandic waters. The divers at liveaboard diving trips are welcomed with a number of perks that shore based diving never offers to tourists. They can enjoy the most exotic and rear sea cuisine and savor the dishes cooked right on the boat. The staff personnel at these trips are rather helpful; therefore, it is comparatively easier to acclimate with them. A liveaboard trip offers you the luxury of waking up at empty diving sites that are otherwise crowded with tourists bustling in after-dawn. Popular diving destinations become flooded with tourists during the day that diminishes the likelihood of serene and tranquil diving. The tourist’s onboard liveaboard boats are usually the first ones to arrive at diving sites and they are long gone before the actual crowd kicks in. On a liveaboard diving trip, you have plenty of time to polish your diving skills to further heighten the pleasure. Plenty of dives on a daily basis improves your approach towards diving and enhances your diving capabilities. The staff at liveaboard diving boats are more than willing to guide you in a proper fashion. You can ask as many questions from these experienced divers and get cleared on doubts you may have in your mind. This leads to adding to your overall diving experience. Liveaboard diving excursions are a great way of making new friends who share the same interest. You get to meet fellow diving fanatics, who get added to your social circle. Diving with people with common interests is destined to provide you with a great amount of pleasure. Liveaboard diving vessels take you to most isolated diving spots that remain untouched to the otherwise adulterated world. These trips allow you to explore the secluded regions of Komodo Islands that offer you the most amazing diving experience and allow you to experience the wonderful marine life at these islands. The advantages mentioned above of Komodo liveaboard diving trips are probably just enough to motivate you towards planning a liveaboard diving trip. Therefore, the next time you plan a diving vacation, consider Komodo islands as your preferred destination. If you have some more queries on this context, you may place them in the comment section below.